I got my first librarian job because my spoken word performance troupe was invited to read at a Colorado librarian conference, and I just happened to have a poem about wanting to be a librarian. After a year of that, right about the time I was trying to decide if I wanted to leave my small mountain-town home and become a library and archives conservator, my book club happened to read The Sixteen Pleasures, which gave me the impression that this career would allow me to travel the world doing interesting work. In some ways, that has been true. I got to go to Spain, and live on the grounds of a castle, and work on early parchment and paper documents. I’ve managed to build some travel into my work in the States, too. I just got back from Colorado, where I’ve been doing some preservation planning. 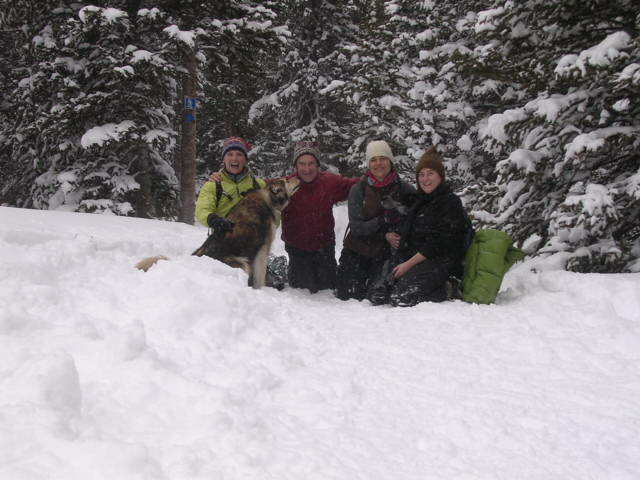 And I got to go snowshoeing with family and friends and two of my favorite dogs.